Git is now my favorite version control system. Git and GitHub are very powerful, it has (nearly) all features I can think about, and best of all: As a distributed version control system, I can work with it, even if disconnected from the network . I’m using screenshots with the Eclipse based CodeWarrior for MCU10.4. The normal eGit update site is . Because the Eclipse version used by CodeWarrior for MCU10.4 is an older one, the current eGit version. You will likely receive an error “Missing requirement: Git Team Provider UI 3.0.1.201307141637-r (org.eclipse.egit.ui 3.0.1.201307141637-r) requires ‘bundle org.eclipse.team.core [3.6.100,4.0.0)' but it could not be found". See this forum thread. The solution is to use 'http://download.eclipse.org/egit/updates-2.2/' as update site. Pressing Next, and it should not report any dependency problems. Go through the rest of the dialogs, and after a restart you have eGit integrated in Eclipse. Having an Eclipse Git integration as eGit is really nice, and not difficult to install. The only hick-up is if using an older Eclipse version as CodeWarrior for MCU10.4. 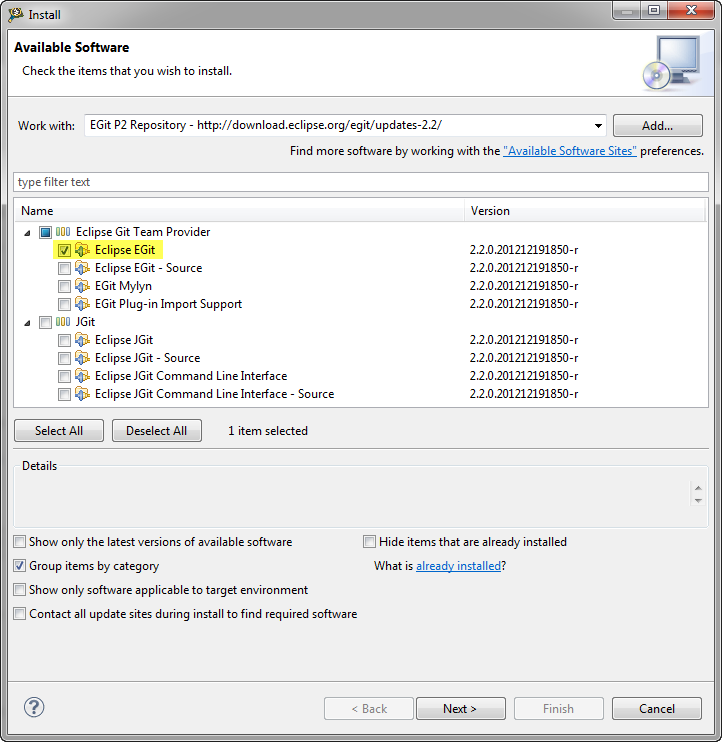 Then using the dedicated update site http://download.eclipse.org/egit/updates-2.2/ solves the problem.